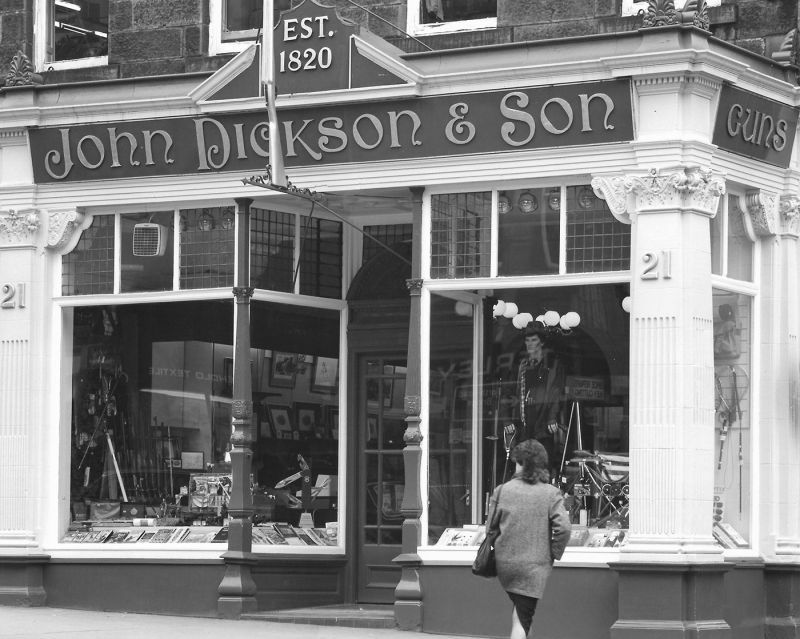 John Dickson & Son was established in Edinburgh in 1820. The company gained fame through its round action, a uniquely Scottish trigger plate mechanism that is admired for its strength, elegance and balance. John Dickson was born in Canongate, Edinburgh, in 1794. In 1806, at the age of 12, he was apprenticed to James Wallace, Gunmaker, who had premises at 187 High Street in the ‘Old Town’. Wallace made guns on the Forsythe detonating principle and was appointed sole manufacturer of these for Scotland. 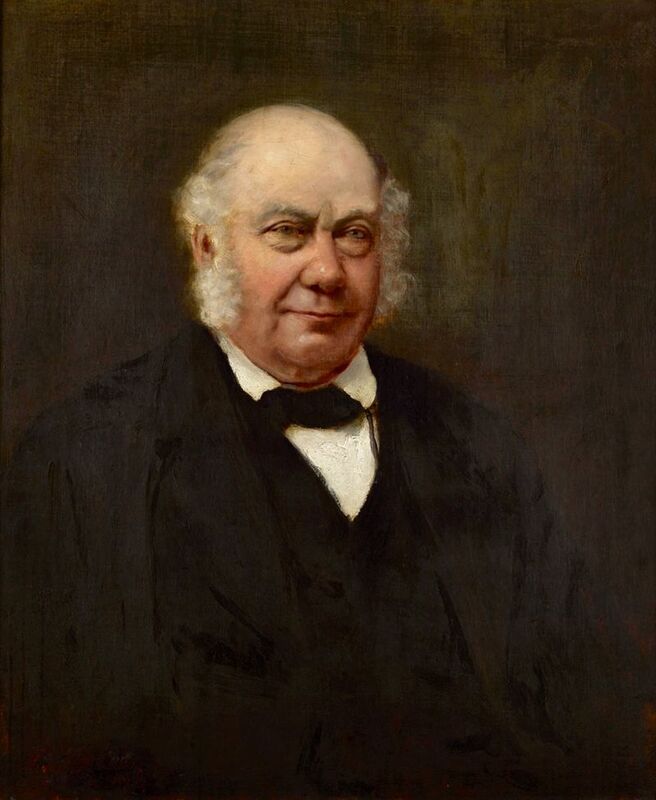 Along with Wallace’s contemporaries, Francis Innes and John Thompson [Gunmaker to His Majesty], young John Dickson was working under some of the great gunmaking innovators of their time. 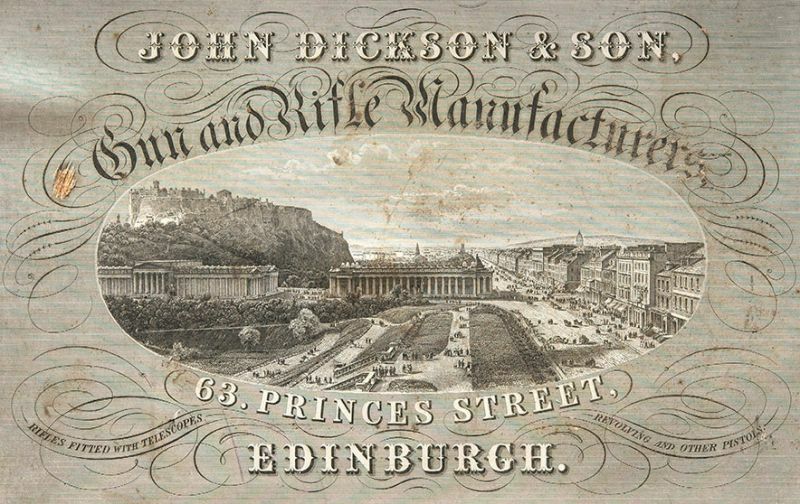 Dickson completed his apprenticeship in 1813 and by 1840 was in business in his own right at 60 Princes Street. He married during his apprenticeship at the age of 17 and had six children the eldest of whom, also John, came into business with him and thus laid the foundation of a firm that spanned three generations. There was much competition and innovation in Victorian Edinburgh. The listings of Gunmakers for 1840 show Thomas Bryce in Carlton Street, John Dickson & Son at 60 Princes Street, Jas Harkom at 31 West Register Street, William Laing in the Cowgate, McLauchlan at 24 Frederick Street, Mortimer at 97 George Street, Pratt in Hanover Street, Alex Thomson in St Andrew’s Street and Wallace at 63 Princes Street. By the 1870’s other famous names, Alexander Henry, Dan’l Fraser and James MacNaughton all had premises in the city and Edinburgh was truly a centre of Gunmaking excellence with great competition between Gunmakers and ancillary trades. Patent disputes were inevitable. 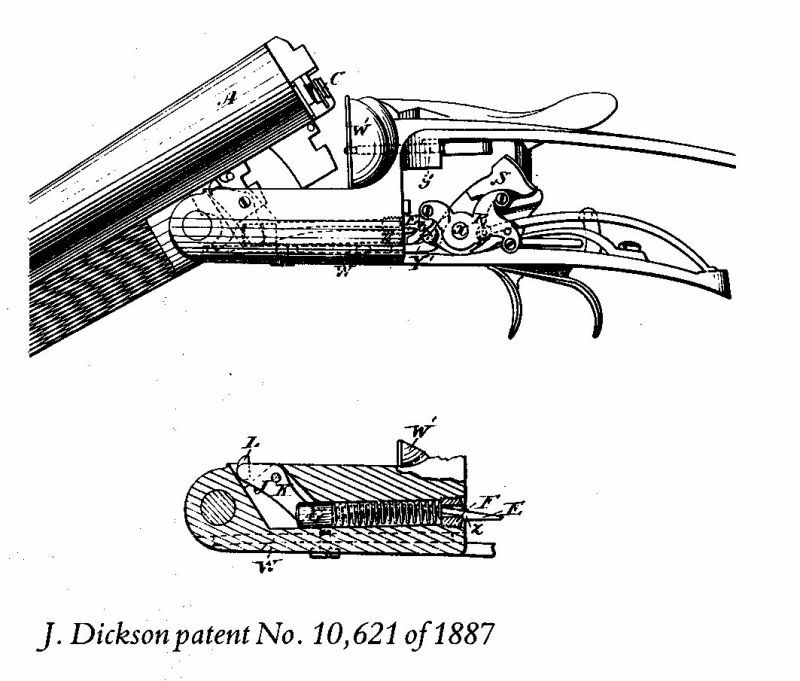 Dickson and MacNaughton disputed claims to the trigger plate action, MacNaughton having patented his in 1876 and Dickson his in 1880. The courts found in favour of Dickson. In 1859 Dickson made the first pinfire breechloader under Brazier’s patent followed by guns on Westley Richards, Thomas Horsley and later Lancaster’s patents, ultimately arriving at the first of his own ‘Round Action’ design guns in 1880. The principles of design incorporated into this gun survive to the present day. All businesses need customers and between 1875 and 1906 Dickson had someone special. Charles Gordon, a collector, was as much a benefactor as a customer and over this 31 year period Dickson made more than 300 guns for him, flintlocks, percussion, pinfire and centre fire rifles, shotguns and pistols all cased and finished to a high specification. He never fired the guns and they are now the object of modern day collectors attention. His obsession almost bankrupted him and, ultimately, some of his family obtained an injunction restraining him from purchasing any more Dickson guns. John Junior married in 1842 and had nine children. The two eldest boys, John and Peter, were apprenticed to their father and both became Gunmakers with John apparently being taken into partnership by his father in about 1880, coinciding with the production of the first ‘Round Action’. Five years later John Snr died aged 66 with his share of the business going to his son Peter. The partnership between the brothers lasted until 1892 when Peter drowned at sea on his way to Australia. John continued in his craft until 1923 when, having no heir, he sold the business to J. Hayhoe. John Jnr died in Edinburgh in 1927. In 1937 the company moved to Frederick Street, the firm having been located at 63 Princes Street since 1848, some 80 years in total. Starting with a workshop and a showroom, a shop was soon added to the converted steadings. With a picturesque shooting school on our doorstep, we are ideally located for customers looking to try a gun prior to purchase. Today Mark Frearson, Andy Marshall and Joe Frearson uphold the skills and traditions of this famous Scottish heritage. 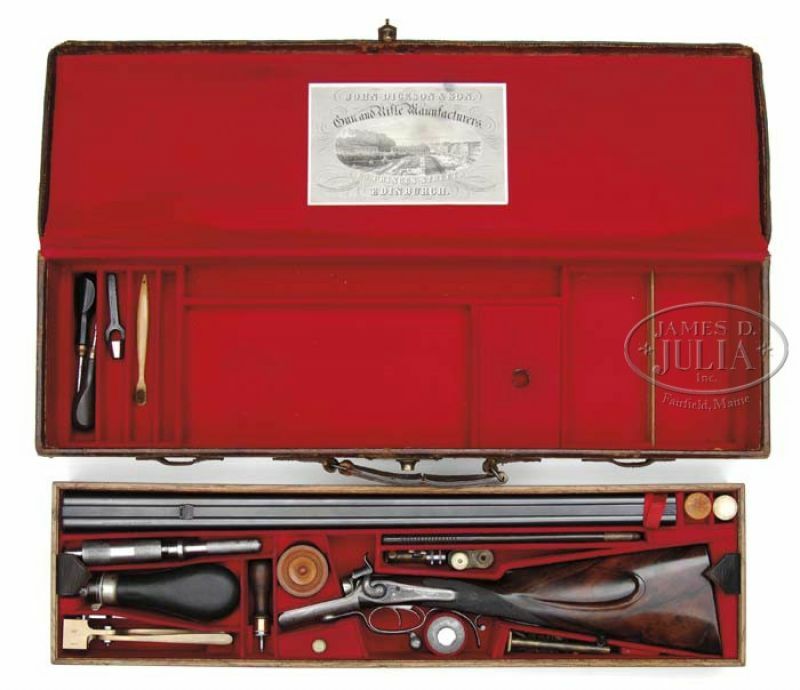 James MacNaughton setup business in Edinburgh in 1864 and won acclaim for the 'Lock Fast Breechloader' and the 'Edinburgh Patent Hammerless Ejector', patented in 1879. This trigger plate action shotgun was similar to that of John Dickson's. Alex Henery setup his business in 1853 in Edinburgh. He developed the rifling for the Martini-Henry rifle, first used by the British Army in 1871, and was acclaimed for the high quality of his single and double rifles. A name long associated with high quality sporting single and double rifles. The firm was established in Edinburgh in 1873. In 1916 it closed down, with some of the stock and equipment being taken over by John Dickson. 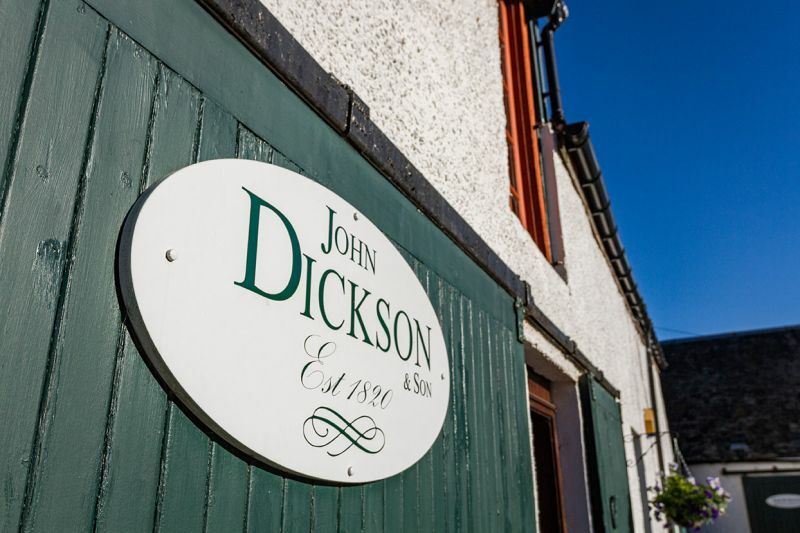 Established in Paisley in 1837, the distinguished firm recently became incorporated with John Dickson. Its most famous speciality was the ribless shotgun and the regulation of .303 Lee Enfields and other rifles. Thomas Mortimer was the scion of a famed London gun-making family, H & T Mortimer, established in 1755 in Fleet Street. In 1835 Thomas came to Edinburgh to set up in Princess Street. In 1938 the business merged with John Dickson.